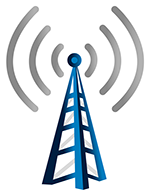 Poll - What class of amateur radio license do you hold? What class of amateur radio license do you hold? Comments, suggestions, questions or problems regarding this web site should be directed to Sun Country Amateur Radio Society. Portions of this website including plug-ins, scripts, links and other documentation have been used with permission. Copyright © 2010 - 2019 - ProDesign Web and Services of Central Florida - All rights reserved.